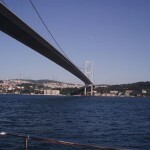 As part of the only passage between the Black Sea and the Mediterranean, the Bosphorus has always been of great commercial and strategic importance. 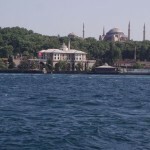 It is specifically famous for the 620 historical waterfront houses (yali) which had been built during the second period of Ottoman Empire extending along the European and Asian shorelines of the strait. 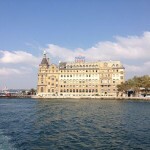 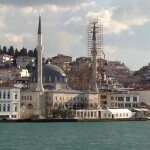 Also, Ottoman Palaces like Dolmabahce Palace, Yildiz Palace, Cıragan Palace, Beylerbeyi Palace, Kucuksu Palace, Hatice Sultan Palace, Adile Sultan Palace and of course Topkapı Palace have adorned the shores and hills of the strait; together with other historical buildings from Byzantine and Ottoman period like Hagia Sophia, Blue Mosque, Kılıç Ali Pasha Mosque, Suleymaniye Mosque, Galata Tower, Maiden’s Tower, European and Asian Fortresses, Selimiye Barracks, Kuleli Military Highschool among numerous others.